Raúl González Blanco (born 27 June 1977 in Madrid, Spain), known simply as Raúl, is a Spanish footballer who plays as a striker. 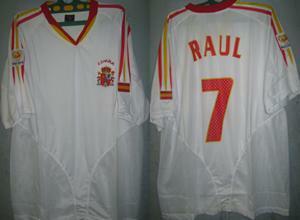 Raúl began his rise in the international scene with the youth teams and was chosen to represent Spain at the 1995 FIFA World Youth Championship, scoring 2 goals. 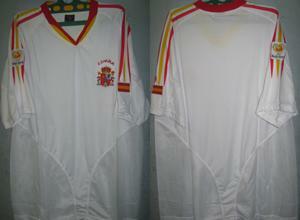 He has scored a national record 44 goals in 102 caps for Spain. He is also second in terms of caps won for Spain, with 102. The former captain has made more international appearances for Spain than any other outfield player. 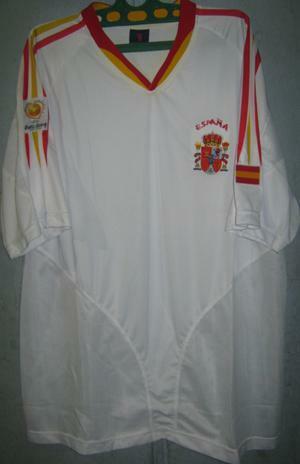 Raúl was not chosen for Euro 1996 and had to wait until October 1996 to earn his first senior cap against the Czech Republic. He participated in three World Cups from 1998 to 2006, along with Euro 2000 and Euro 2004, scoring at least one goal in each of the three World Cup competitions. Raúl took over the team captaincy following the retirement of Fernando Hierro in 2002, but has not been chosen for the national team since September 2006, following a shock 3–2 defeat against Northern Ireland in Belfast (a game in which Raúl hit the post late on). In addition, he was not selected for the UEFA Euro 2008 final tournament (which Spain eventually won) as Luis Aragonés preferred Fernando Torres and David Villa. 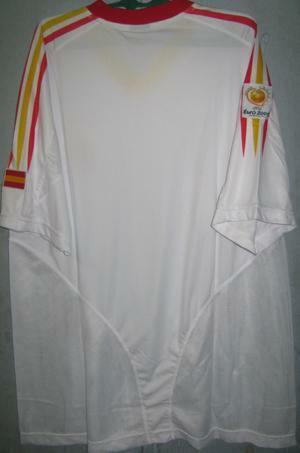 His clubmate and goalkeeper Iker Casillas succeeded him as captain. Of his 44 international goals, Raúl scored 25 goals in competitive games, 6 of which were in the finals of major tournaments. 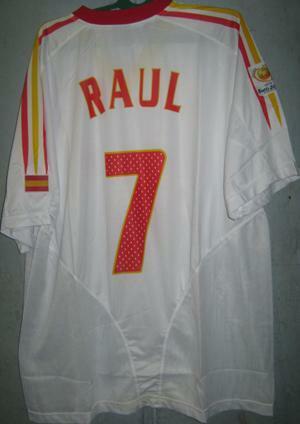 In a Euro 2000 qualifier, on 27 March 1999, Raúl scored one of only two international hat-tricks during Spain's 9–0 rout of Austria. He scored another international hat-trick four days later, against San Marino during the same qualifying tournament.